A Supreme Court judge has ordered the American Museum of Natural History to stop construction of its new science center expansion temporarily due to an ongoing lawsuit. Supreme Court Justice Lynn Kotler’s order prohibits the museum from “engaging, and/or causing others to engage, in any construction or demolition work or activity or any tree removal in the park,” until the next hearing for the lawsuit on December 11. The museum is currently undergoing a massive renovation of its western wing at Columbus Avenue and West 79th Street. 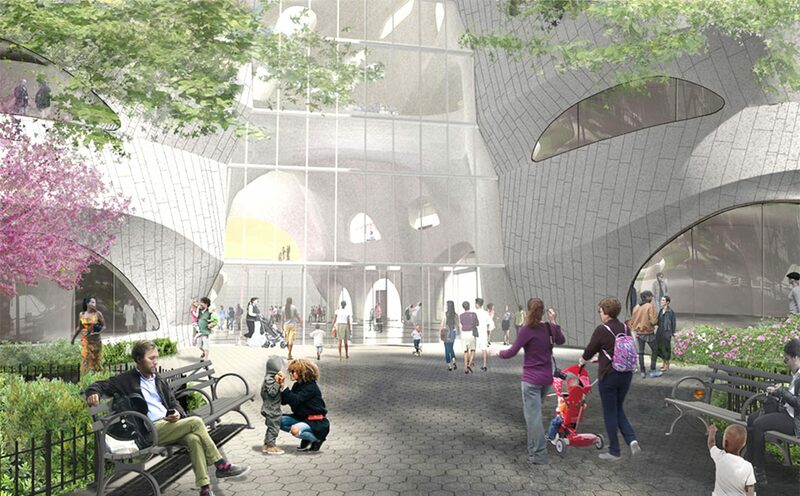 The project, the Richard Gilder Center for Science, Education, and Innovation, would create more programming and exhibition space and improve the internal flow of visitors, but also encroaches on the surrounding Theodore Roosevelt Park. The $383 million project was given the green light by the city in December 2017 and the museum is currently erecting construction fences. The lawsuit — which was filed in March — is from the Community United to Protect Theodore Roosevelt Park claiming the city wrongfully approved the project without proper environmental review. “Today’s ruling is a victory, not only for Community United, but also for the tens of thousands of people who regularly visit and walk the bucolic paths of Teddy Roosevelt Park,” said William Raudenbush, the vice president of Community United.